Over the last few weeks we have been keeping you up to date with all the happenings with the Android Jelly bean update and the Samsung Galaxy S3. The handset has in certain regions been enjoying the new firmware for a while, but owners of the device on certain carriers such as Verizon, are still stuck on Android ICS. Today though we can tell you Verizon Wireless has added some Android Jelly Bean features to the Galaxy S3 webpage before the actual update arrives. A couple of days ago we informed you that another Android Jelly Bean build had been leaked for the Samsung Galaxy S3, and it could be officially released this coming Friday 14th of December. It now seems there may be some truth in these claims as the carrier has updated its website and the Galaxy S3 page, which now shows some of the features that Jelly Bean will bring. This includes widgets that can be customized by the user and easily placed in a layout they want, and the widgets are also resizable now as well. The new notification tray is highlighted allowing users to get access to emails, SMS messages, and calls in a non-intrusive way. While this will be welcome news for owners of the Galaxy S3 on the carrier, it comes as other users of the device begin to receive the Android Jelly Bean 4.1.2 update. Samsung last week begun rolling out this latest update to owners of unlocked versions of the smartphone, which seems to be a staggered update with lots of owners reporting they have yet to see the new firmware. This firmware update still falls short of the most recent version of Android that is now sitting at 4.2, and has so far only reached various Nexus branded hardware, and there is still no news for Orange and T-Mobile customers in the UK that are still using Ice Cream Sandwich on their Galaxy S3’s. 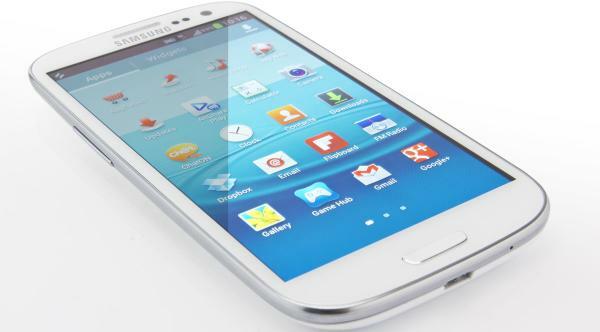 Do you think Verizon will finally push out Jelly Bean for the Galaxy S3 in the coming days now? Update: Verizon has now confirmed the update is due to arrive in the next couple of days and will be coming in a file sized 62MB, and should take around fifteen minutes to download and install. The carrier is advising users to have a fully charged battery and make sure a strong Wi-Fi signal is being used for the downloading of the Jelly Bean update. damn you Orange… absolutely ridiculous.. no information, no news, no nothing..
Lol right. You would think Samung would speak up by now. After all it is causing some loss of sale. Just push the damn thing out! come on Verizon, what a pain you’ve been! I know and we pay the most to for cell service. Verizon, the largest network in the nation and always the last to receive any update. This is a reputation Verizon have had in the past. I would leave them for another carrier if it wasn’t for the unlimited data!!! If they gave me a date I would be happy but that’s to hard to do.. months of waiting and the money you hand over to Verizon you would think they would be on top of their game! I well believe it when it Happens!